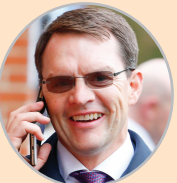 Aidan O’Brien. PHOTO: BRITISH CHAMPIONS SERIES. The winner’s stablemate, The Pentagon, was third. London – Aidan O’Brien saddled his 26th Group 1 winner of 2017, beating the record of the great Bobby Frankel, when Saxon Warrior took the Racing Post Trophy on Saturday. Sent off favourite, the son of Deep Impact appeared to be in full control as he cruised to the front 400m from home, but then looked in trouble as Roaring Lion burst from the pack to take over and briefly move a length clear. With Ryan Moore in full flight, Saxon Warrior dug deep to stay on again and reel in the John Gosden-trained runnerup with the line approaching, sealing O’Brien’s 26th and perhaps most dramatic top-level success of another phenomenal season. O’Brien told ITV Racing: “I’m delighted and delighted fo everybody. There’s a lot of hard work put in by a lot of people in Ballydoyle and Coolmore. “It’s unbelievable really. There are so many people who put in so much hard work day in, day out. If I start mentioning people, I’d forget somebody. Of Saxon Warrior, the trainer added: “He travelled very strong and Ryan gave him a brilliant ride. Sky Bet make Saxon Warrior their 5-1 favourite for the Investec Derby next year and he is 9-1 for the Qipco 2000 Guineas in May. O’Brien paid tribute to the Coolmore triumvirate of John Magnier, Michael Tabor and Derrick Smith for producing such incredible thoroughbreds for him to train.